Over the years, the Make My Non-Profit Run Better contest has garnered lots of media attention across Illinois and Iowa. If you are a member of the media and you’d like to learn more about the contest or speak to someone from RK Dixon, please contact Darren Garrett, marketing manager at RK Dixon, at 563.823.6365. On Monday, June 13, our Office Technology Group Account Executive Drew Gibbs was interviewed live by Fox Illinois at the WICS studio about this year’s Make My Non-Profit Run Better contest. Monday also marked the first day Springfield and Champaign-area non-profits could register for this year’s contest. Check out the interview here! Boys & Girls Clubs of Central Illinois and Saint Mary School crowned grand prize winners in RK Dixon’s 2016 Make My Non-Profit Run Better contest. Here’s ABC5 WOI-DT’s coverage of their area winner – Special Olympics of Iowa. Check out KWQC’s coverage of the Quad Cities’ area winner – Honor Flight of the Quad Cities (skip to 12:52 for MMNPRB coverage). Check out WEEK’s coverage of their area winner – Stray Animal Midway Shelter (SAMS). WIFR’s video and article about their area winner for the contest – Rock River Christian Camp and Retreat Center. The State Journal Register’s article about Looking for Lincoln Heritage Coalition’s win. Quad City Business Journal article about Honor Flight of the Quad Cities’ win. Article in the Quad City Business Journal about our contest. 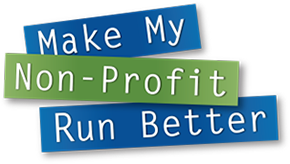 Business Journal article about our Make My Non-Profit Run Better contest – Sept. 10, 2013. Videos for Putnam Museum & IMAX Theatre and CPC Pregnancy Resources are now on YouTube. Check them out! Video profiles about non-profit entrants Camp Shalom, CPC Pregnancy Resources and Rivermont Collegiate.